Bite sized seafood, originally uploaded by Erin *~*~*. 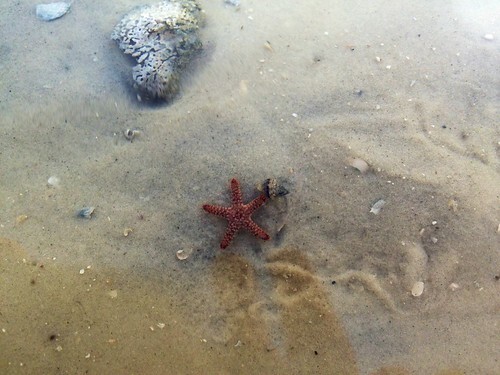 A tiny starfish is under investigation by an even to over hermit crab. Appetizer, anyone?